Mosaics Galore is back with 100 new glorious mosaics! 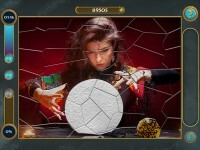 Solve unique puzzles and save the realm from a wicked curse! The enchanted land needs your help once again! A curse has been placed on the fairytale worlds! 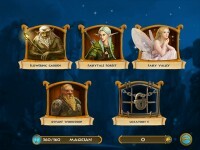 Restore mosaic puzzles and get magical keys to save the realm from this wicked curse! 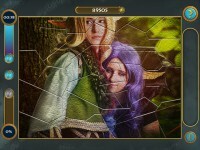 Now is the time for adventure and this wildly unique puzzle game delivers! Cross paths with the most unforgettable creatures and characters from your favorite legends and fairy tales! This collection of brain-teasers includes patchwork puzzles as well as guess the picture challenges featuring mystical locations, forest creatures, noble ladies, magicians and children of fire! Solve every mosaic and you'll discover the incredible wonders of this magical land! Enjoy an atmosphere of ancient legends and myths without leaving your home! Let your imagination roam free with 100 new mosaics! 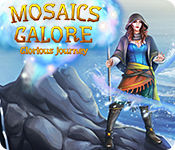 Tell someone about Mosaics Galore Glorious Journey Mac Game!